See the full article about the new Sunnyside neighborhood redevelopment project, Cobbler’s Corner, from Denver Infill here by Matt Levesque. Scroll down to see homes for sale in the Sunnyside neighborhood in Denver. Rendering of the Cobbler’s Corner redevelopment project in the Sunnyside neighborhood. Image courtesy of Generator Development. Cobbler’s Corner is a new neighborhood-scale commercial adaptive reuse and infill project, located at 2436 W. 44th Avenue (44th and Alcott). The project is being developed by place-maker Paul Tamburello’s Generator Development, the group behind the restoration of several LoHi buildings. The project includes the restoration of a 5,200 square foot building as well as the addition of two buildings adding approximately 9,000 square feet replacing the parking lot. When finished, the project will include space for two restaurants, five retail bays, and two live-work studios. The original building most recently housed the Germinal Stage Theater; however, this redevelopment will bring it more in line with its original use as a neighborhood retail location in the late 1920s. New infill building on 44th Avenue. Photo by Matt Levesque. 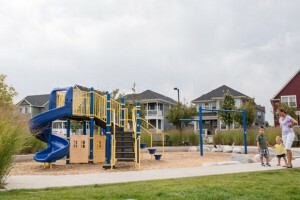 More information and pictures on the Denver Infill website. See the full article about the new Sunnyside neighborhood redevelopment project, Cobbler’s Corner, from Denver Infill here. Homes for sale in the Sunnyside neighborhood. See the full article by Confluence Denver here. Scroll down to see homes for sale in the Stapleton Neighborhood in Denver. 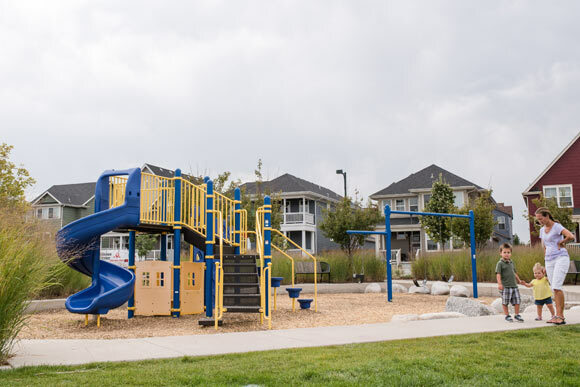 A hybrid urban-suburban, lawn-free mecca for strollers and minivans, Stapleton can hardly be contained as developers push south — and north, too. And maybe that’s a good thing, as the airport-turned-neighborhood has set the bar high in its first 15 years. “There aren’t many projects the size and scope of Stapleton, and what we’re doing here is a big deal — even for Forest City, a major developer in Chicago, New York and San Francisco,” says Tom Gleason, Vice President for Public Relations at Forest City Stapleton, the subsidiary of Forest City Enterprises, a more than 90-year-old family-owned firm headquartered in Cleveland. When Forest City acquired the land, there were zero residents; today, Stapleton boasts nearly 20,000. “A number of things came together to really transform the property,” Gleason begins. See the full Confluence Denver article here. DENVER – Mayor Michael B. Hancock, Industry Denver, Dist. 9 City Councilwoman Judy Montero and Economic Development Executive Director Paul Washington today broke ground on a 120,000-square-foot project that will provide flexible, high-demand shared office space for 350 to 400 tech and creative sector workers. Paired with over 250 affordable and market rate housing units and three restaurants, the 9-acre development along Brighton Boulevard will become a transformational project that will reconnect the neighborhood with downtown and the South Platte River. Located at 3001 Brighton Boulevard, Industry is a multiphase development that will capitalize on the community’s character, assets and potential. 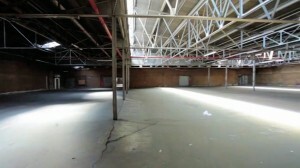 The first phase – the shared space for small and early-stage businesses – is projected to reach completion in early 2014. Industry Denver is also working with the Greenway Foundation to activate the South Platte River adjacent to the project. Residents of the market and workforce housing as well as employees will be linked to improved biking, trails, parks and riverways. The development will also offer community spaces for business and neighborhood connections. 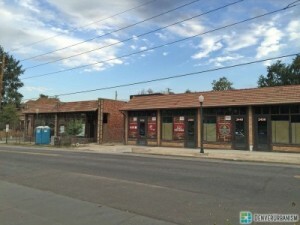 Mayor Hancock and the Denver Office of Economic Development (OED) have identified Brighton Boulevard and the South Platte as key areas for commercial and residential development within Denver. OED has committed a $1 million loan to spur the project with a 5-year payback period, which fulfills a goal within the 2013 JumpStart plan. Industry is one of three projects along Brighton Boulevard that indicate positive growth uplifting this historically overlooked area of the city. In the past month, The Source, a European-style artisan market, opened at 3350 Brighton Blvd. Denver City Council has also approved zoning for Great Divide Brewing, a Denver-grown brewery, to triple its operations.